Home Watch Vero Beach | Oceanside Home Watch, LLC. › Why Hire a Home Watch Company? 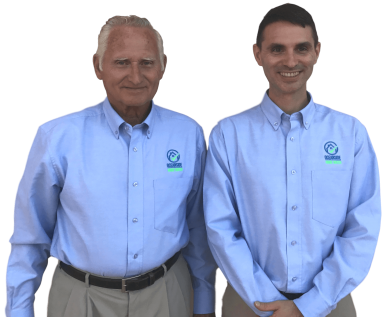 Oceanside Home Watch in Vero Beach will take great care of your home while you’re away. We give you peace of mind by performing scheduled visits to detect common problems such as water leaks, AC issues, mold, storm damage, bug and rodent infestation and more in an effort to save you money and frustration from the damage these problems can cause if they’re not detected and resolved quickly. Important! – Did You Know? Your insurance company MAY NOT cover a claim caused by one the problems above if no one is watching your home while you’re away. Many insurance companies require you (the home owner) to have someone watching your home on a regular basis if you’re away for months at a time. If you don’t have someone who is qualified and can provide detailed records of their visits to your home to the insurance company, they may deny any claim relating to a situation that happens while you are away. These problems and many others can create a huge mess that’s inconvenient, time-consuming, and expensive to fix. In the instance that a problem occurs, you need an experienced person who can access your home, assess the situation, and meet with and oversee local service providers to resolve the issue. You love your seasonal home in Vero Beach and take great care of it while you’re here. Let us be your eyes and ears while you’re away. You’ll have peace of mind knowing that the best home watch services company in Vero Beach is watching and caring for your home. Our friendly team will meet with you for a free in-home consultation. They will explain each item we will check during our scheduled visit to your home and how monitoring those items will help you to avoid potential problems while you’re away. If you have additional items that you’d like us to help you with while you’re away, we can custom-tailor your weekly checklist to meet your needs. We’ll visit your home and perform a thorough 25-point inspection of your home’s interior and exterior. This inspection includes every interior room of your home as well as the exterior of your home from the roof line to the ground. We’ll take notes and pictures on anything that stands out and contact you if something needs your attention. If something does require your attention, we’ll work with you and trusted local service providers to resolve the issue in the best way possible. At the end of each visit, we will leave a detailed report on the counter of your home and also email you a report of what we found while we were there. Our email report includes a list of the items we checked, as well as notes and photos taken during our visit. We will also reach out to you by phone once per month to give you a verbal report and verify that you’ve received the email reports during the month. If you do not want to be contacted by phone each month, you can specify that you only want to be contacted if there’s a problem. Below is a complete list of tasks that Oceanside Home Watch performs during the visit to your home. This home watch services checklist can be completely customized to include additional items that you’d like us to take care of while you’re away. Read what other homeowners are saying about using our service. Simple pricing for condo, house, and mobile home owners. You choose whether we visit your home 1, 2, or 4 times per month. Perfect for condominiums up to 2,000 sq. ft. Perfect for single houses up to 2,000 sq. ft. Perfect for mobile homes up to 2,000 sq. ft.
*For condos and homes over 2,000 square feet, please call to schedule a free in-home consultation and quote. We service all of Vero Beach, Sebastian, and Indian River County. This includes the beach side and mainland all the way to I-95. No. You can cancel anytime. We do require you to sign an agreement to get your authorization to enter your home for visits while you’re away. Will the same person check my home each visit? Yes, in most cases the same person will be checking your home each visit. In special cases, both Art and Peter may enter your home together if a potential problem needs further examination before deciding if action needs to be taken. You will have the opportunity to meet both Art and Peter. Can you provide proof of insurance and references? Yes, we would be happy to provide you with proof of our bond and insurance coverage as well as client references upon request. We offer affordable home watch services as low as $20 per visit. Our pricing is based on whether you own a mobile home, attached condo, or a house, the size (square footage) of your home, and the number of times per month (1x, 2x, or 4x) we will be visiting. By choosing more frequent visits, your per visit price will be lower. These are considered scheduled visits. An unscheduled visit is any visit that is outside of the scheduled visit to your home. This may be to meet a service provider at your home (plumber, AC technician, etc. ), to check a house alarm going off, or other situation. Unscheduled visits are $35/hour (minimum of 1-hour). In addition, we also several other concierge services such as starting vehicles and pressure cleaning. If you are going to steal our text, how can homeowners trust you to watch their home?